Massive 3-CD Box Set on Ear-X-tacy Records. Louisville's own pan-idiomatic world music and improvising ensemble is proud to present "Recent Fossils" - a 3 CD set of recordings featuring newly-composed music for homemade instruments, studio recordings with internationally-known guest improvisors, and a rare live recording of the pioneering minimalist composition "In C" by Terry Riley. CD1: "The Dig" - Compositions for homemade gamelan (tuned percussion orchestra of Indonesia) and other world instruments, featuring over a dozen Louisville-based musicians and guest artists. Deep, resonant gong tones, bamboo flutes, driftwood string instruments, virtuostic drumming, electric jazz-rock fusion, hip-hop world beat, and avant-garde chamber music charaterize this 70-minute sonic journey. Accompanied by a bootlet with pictures and text detailing the history of the Grets at the Falls of the Ohio. 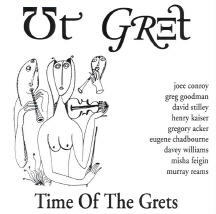 CD2: "Time Laps" - Ut Gret's studio improvisations and collaborations with visiting artists including Henry Kaiser, Eugene Chadborne, Greg Goodman, and Davey Williams. Ut Gret is known for being able to play with anyone, anywhere, and this CD proves it. Amazing twists and turns through prog-rock, electric jazz, world beat, classical string quartet, electric m'bira, digeridoo, ping pong balls inside a piano, and more. If you've never heard the sound of an electric guitar being played by a parachutist, this CD will definitely open your ears. CD3: "In C" - Originally conceived as a 'bonus track' but, at 63 minutes, Terry Riley's groundbreaking minimalist composition required its own CD. Recorded live at the legendary Tewligan's Tavern, this historic performance inspired a Gretian mother to remark: "for the first ten minutes I hated it, but after that I was entranced". The performance features long-time member Dave Stilley ("Time of the Grets") programming the synths and guest artist Marko Novachoff from Detroit's "Only A Mother". It all comes housed in a beautiful quad-fold-open digipack with a full color 20 page booklet of photos, comments & credits! A sure-fire collector's item! 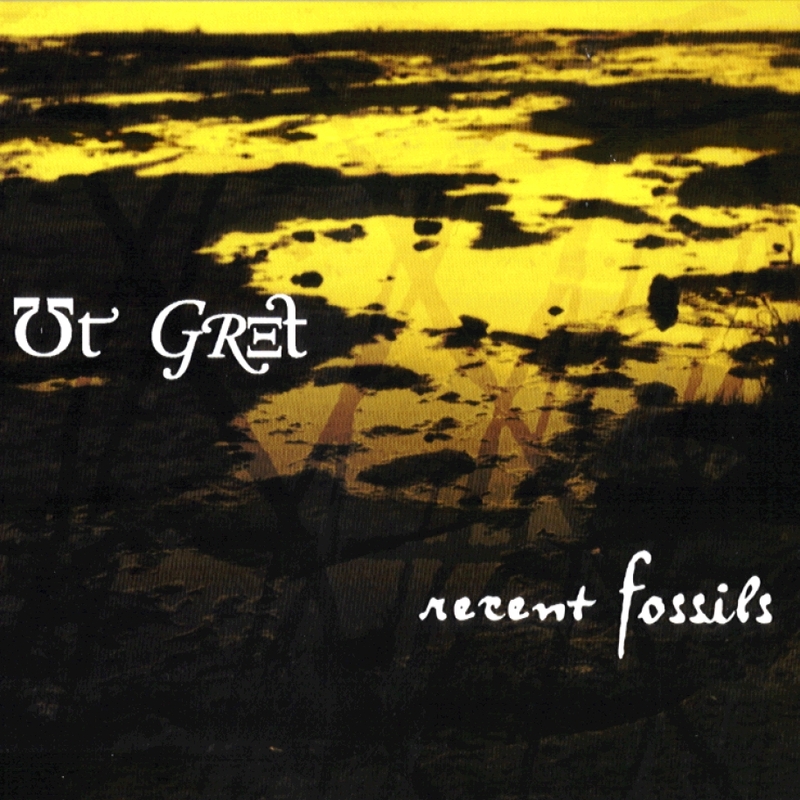 Radio Piece III "Tesseract & Monuments"
Ut Gret "Time of the Grets"
Notify me of updates to Ut Gret "Recent Fossils"